The German magazine Spiegel reports that governments and investment funds are buying up farmland in Africa and Asia to grow food -- a profitable business, with a growing global population and rapidly rising prices, a high-stakes game of real-life Monopoly leading to a modern colonialism to which many poor countries submit out of necessity. According to most prognoses, there could be 9.1 billion people living on earth in 2050, about two billion more than today. In the coming 20 years alone, worldwide demand for food is expected to rise by 50 percent. "These are pessimistic prospects," says the Organization for Economic Cooperation and Development spokesman. These were extremely conservative investors who buy or lease land to grow wheat or raise cattle. But land is scarce and expensive in Europe and the United States. Solving the problem means developing new land, which is only available in Africa, Asia and South America. This combination of factors has triggered a high-stakes game of real-life Monopoly, in which investment funds, banks and governments are engaged in a race for access to the world's arable land. Thousands of investment funds, from small to large, have recently begun applying the most basic formula in the world: Man must eat . It is not just bankers and speculators, but also governments that are acquiring land in other countries, seeking to reduce their dependence on the world market and imports. China is home to 20 percent of the world's population, but it has only 9 percent of the world's arable land. Japan is the world's largest corn importer, and South Korea is the second-largest. The Persian Gulf States import 60 percent of their food, while their natural water reserves are sufficient to support only another 30 years of agriculture. The Ethiopian prime minister said that his government is "eager" to provide access to hundreds of thousands of hectares of farmland. The Turkish agriculture minister announced: "Choose and take what you want." In the midst of a war against the Taliban, the Pakistani government staged a road show in Dubai, seeking to entice sheikhs with tax breaks and exemptions from labor laws. Pakistan has already announced plans to deploy 100,000 members of its security forces to protect foreign-owned fields. In Mozambique foreign demand is more than double the existing cultivated farmland, and the government has already allocated four million hectares to investors, half of them from abroad. •The Sudanese government has leased 1.5 million hectares of prime farmland to the Gulf States, Egypt and South Korea for 99 years. Paradoxically, Sudan is also the world's largest recipient of foreign aid, with 5.6 million of its citizens dependent on food deliveries. •Kuwait has leased 130,000 hectares of rice fields in Cambodia. •Egypt plans to grow wheat and corn on 840,000 hectares in Uganda. •The president of the Democratic Republic of Congo has offered to lease 10 million hectares to the South Africans. Saudi Arabia is one of the biggest and most aggressive buyers of land. Saudi Arabia spends $800 million a year promoting foreign companies that cultivate "strategic field crops" like rice, wheat, barley and corn, which it then imports. Ironically, the country was the world's sixth-largest wheat exporter in the 1990s. "When food becomes scarce, the investor needs a weak state that does not force him to abide by any rules," says Philippe Heilberg, an American businessman. A state that permits grain exports despite famines at home, that is consumed by corruption or deeply in debt, ruled by a dictatorship, racked by civil war, or sends millions of workers abroad and is dependent on these workers receiving visas and jobs. Heilberg has found such a nation: South Sudan, which is in fact a pre-nation, autonomous but not independent. The 44-year-old American, son of a coffee merchant and the founder of the investment firm Jarch Capital, is now the largest land leaseholder in South Sudan, where he leases 400,000 hectares of prime farmland in Mayom County. Jean-Philippe Audinet of the International Fund for Agricultural Development (IFAD)says "The way these agreements are structured can harm the country and the farmers in the long term, robbing them of their most important asset: land." During the early days of socialism it is likely that the organisation of world co-operation would need to take place through a world council. Because the things we need now are produced and distributed through a world structure of production, and because its present capitalist nature has brought about immense problems, action to solve them would be required on a world scale . For example,the countless millions of people suffering from hunger and desperate poverty would need a considerable increase in food production. For this work the Food and Agricultural Organisation of the UN would at last he able to use its expertise and knowledge of world conditions to help with solving the problems of malnutrition. In place of national governments, the UN could be democratised as a World Council which could become a centre for co-ordinating a world-wide war on hunger. The FAO could also achieve its potential as a key organisation at last able to achieve real results. To devolve the work, agricultural committees could be set up in every country and these could be further de-centralised through county and district committees, (or equivalent bodies in all countries). At every level throughout this structure, the FAO could provide skilled staffs able to draw on its store of world data and technical information to advise and assist the work. This network could be extended to local farms with an ability to adapt to every local condition. Where I live, in a relatively quiet back-water in SW Turkey, there is one particular pointer to how I think things might be. I'm not suggesting that it's an example of socialism in practice, but I do believe it is an example of one way a socialist society might organise one particular sector of its activities on a local level – small industrial manufacture, repair and supply. OK! Let's take a walk around my local Industrial Area (Sanayi Sitesi in Turkish) which meets the needs of a town of 25,000 and of the dozens of villages scattered about its administrative area. It consists of 5 back-to-back rows of small workshops that adds up to about 200 individual businesses each employing between 1 and 5 people. These units are rented from the local council for a very moderate sum which provides area services; road paving, cleaning, rubbish disposal, etc. It is sited on the edge of the town, close enough to be convenient but far enough from the centre that its activities are not an inconvenience. It is not a pretty place but it is fit for purpose, and in common with other sites around the country it takes industrial workplaces out of “normal” streets and concentrates them in one area. Here you will find carpenters, blacksmiths/metal-bashers, glaziers, auto mechanics (2 and 4 wheels, tractors, trucks, buses, you name it), boat-builders, fibre-glassers, marine engineers, refrigeration engineers, agricultural engineers, irrigation system fitters, the list goes on. Mixed in with these producers and service providers are the various wholesalers of everything from timber and laminated chipboard to steel stockists, suppliers of bits for every major manufacturer of anything that runs on fossil fuels, stockists of tools and specialised equipment, plastic pipes and bits and bobs. No repair or fabrication workshop ever needs to burden itself with stock because within a couple of hundred metres there will be a stockist. Larger or less common items can be got by cargo from anywhere in the country within 2 days. On the outskirts are the recyclers of metal, glass, plastic, etc. Brewers of tea, the staple drink, have their cubby-holes scattered around with orders relayed via a cat's cradle of wires from baby alarms. Vendors of locally produced snacks push their 3-wheeled carts complete with glass display cabinet around the area bellowing their wares. There is even a small cafeteria and a barber's shop. Individual businesses cooperate and network to meet their customers' needs. For example, I always have the same engineer work on my car, but he is a motor engineer and if there is something outside of his expertise he will summon a specialist in that area to do the work whilst retaining full responsibility to ensure the job is properly done and the price is fair. So, there you have a broad pen-picture of how the place looks; with socialism areas like this wouldn't have to labour under the constraints that money presently places on them. There would be more trees and why not gardeners to tend some beautiful flower beds? The rainwater drains would work better – no, the rainwater drains would work! – and those ugly electricity poles and wires could go. Nevertheless, these places do have a significant beneficial impact on the environment, even allowing for the spilt oil and other noxious stuff around. How so? Because here, as well as in so many other “under-developed countries”, having a throw-away mentality is not an option. Here, if it can be repaired or recycled then it is. Here, there are still craftsmen who can make the part that will save an item from being scrapped. I had a very practical lesson not long after moving here 12 years ago. I had shipped my old side-by-side fridge/freezer here because it still worked despite its age and it was convenient. That first summer in heat it was never designed to cope with it had a heart attack and died and I asked a Turkish friend's help as I tried to make some arrangements to replace it. “Why are you throwing it away?” he asked, whilst calling a local refrigeration engineer. This engineer has repaired and upgraded this battered old fridge several times and it is now functioning better than when it was new nearly 30 years ago. Until I came to live here it had never occurred to me that it could be cheaper to repair something than throw it away and buy new. When all you have seen is a mass-consumerist, throw-away, built-in obsolescence, Granny Smiths from Chile, 1 beefsteak tomato (from Holland) for 59 pence society, that is understandable. I'm pretty sure that if I brought some of you here to tour my local industrial area to illustrate my points you would look askance. After all, the place does appear to be pretty “undeveloped world” when compared with the sanitised and health and safety at workified European industrial parks. But, what I am talking about is the seed corn of an idea of how we might tackle some things in a socialist future. Work areas would be attractive with pleasantly designed buildings where craftsmen would contribute their skills to their community and pass them on to others who wanted to acquire them. They would be safe places to work and safe too for the environment because there would be no financial or profit motive to compromise or cut corners. The same lack of financial pressure would drive up quality and durability bringing pleasure to the users and profiting (in the right sense) once again the environment. Socialism is about striving always to find the highest common denominator, not the lowest. Work areas could become real centres for each community regardless of that community's size. There could be recreation facilities and places of education, learning and experimentation would naturally combine there as learning new skills and acquiring knowledge becomes a life-long practice instead of a one shot, hit or miss chance to become another bit of fodder for the factory, shop or office. They really would become places where work ceases to be a grind and instead becomes part of the pleasure of living a fulfilling life where everything and everyone is valued not for the surplus value they can generate but for the varied contributions they can make to the communities that make up our future socialist world. In truth, our communities could be like that now, but where's the profit in that? With the death of Harry Patch over the weekend, there are now few survivors of the War to End All Wars. He said that war is organised murder, and nothing else. He also remarked I met someone from the German side and we both shared the same opinion: we fought, we finished and we were friends. On the anniversary of the start of WWI it is worth asking Is a third world war Inevitable? The threat of immediate nuclear annihilation appears to have receded but war itself, and the threat of a future nuclear nighimare, is still as real as ever. During the 1980s the anti-bomb reformers were everywhere. We were on the edge of a nuclear holocaust, they warned. And like reformists everywhere and at all times, they urged us to shelve the aim of abolishing the profit system, because unless we banned the bomb we would be left with no society at all. The 1990s has witnessed the end of the so-called Cold War, and with it the demise of CND. The number of reformers calling for bombs to be banned is very smalL This is curious, for as any observer can see, we now live in a world in which horrific wars are killing vast numbers of people. In the old Yugoslavia the death toll is incalculable; the killing is being done with "good old" conventional weapons of the kind which CND did not seek to abolish. Now that these reformists whose limited aim was to remove one kind of bomb from the arena of capitalist profit-killing are less fearful of a coming nuclear war rnight we expect them to attend to the big issue of abolishing the very social system which necessitates warfare? We note with regret that as the numbers of CND's membership has fallen there has been no transfer ofits ex-activists' energies to the cause of social revolution, Indeed, many of them have settled into the avowedly pro-market (and pro-nuclear) ranks of New Labour. The cause of war remains. We said during the 1980s that the root of the conflict was not which side had which weapons or whether one side pretended to be communist while the other pretended to be democratic. As in the 1960s when CND had its first burst of support and in the 1930s when war was supposed to be between "bad" dictators and "good" democrats (including Stalin), the root of militarism lies within the drive for profit which is inherent to world capitalism. Sections of the capitalist class will inevitably fight - or, more accurately, send their hired or conscripted workers to fight and die-in their struggle to conquer markets, control trade routes and win for thernselves exploitable populations or territories. Every war in the history of capitalism is ultimately rooted in that struggle, whatever ideological rhetoric may be used to cover up the sordid cause of war, The threat and existence of periodic warfare is endemic to capitalism. There will never be peace under this system. As the Berlin Wall came down and naive fools were rushing around screaming about a New World Order and peace dividends arising from the end of the arms industry there was a build-up to what could have become a third world war commencing in the Gulf states. It is easy now to forget just how close the Gulf war was to becoming a bloodbath for both sides, involving nuclear weapons had Israel been hit by Iraqi chemical weapons. The dangers have far from gone away since then, British and US rninisters are rushing around the world right now like psychopathic maniacs, offering weapons to every stinking dictator with the money to buy them. The tedious soul-searching following the arms-to-Iraq scandal serves to conceal the fact that even ifthe British had not sold arms for use against their own army in the Gulf war, they most certainly have armed fascistic dictators ranging from the Saudi Royal Family (which hangs its critics in public) to the genocidal Indonesian regime (which killed one-in-three of the people in East Timor) to the Chinese state-capitalist dictators (who massacred workers in Tianenman Square, just as the British had done before at Peterloo). Meanwhile military dealers from the ex-Soviet states are on the prowl, flogging nuclear technology and expertise to every tin-pot dietator with a taste for global expansion. And this is capitalism at peace; in reality it is the system gearing up for the prospect of its next world war. Now that war is off the reformists' agenda of "immediate issues" we are expected to ignore the fact that we are living in a world ruled by a minority whieh has interests whiehare fundamentally antagonistic to the majority ofus and that we are surrounded by enoughnuclear weapons to blow us all up not once, but many times over. Home Office figures have been published whieh state that a single blast from a 200-megaton nuclear attack on just one city would kilI 26 million people. "It could be you," as the slogan says -infact when the capitalist thieves fall out and start to press military buttons you have several million times more chance of dying for capitalism than winning the lottery so that you can live it up under capitalism. Which odds will your money be on? Workers may be urged to forget about the possibility of war and distract thernselves with lottery numbers and royal divorces, but those who rule this system know that future war is far from improbable. That is why they continue to plan for how to deal with civilians in the event of a nuclear bomb; for example, the advice sent to Local Health Authorities from the No..2 Home Defence Regional Comrnittee of the Home Office addresses itself to the problem of how to find enough drugs to provide for the possible lack of the availability of sufficient anti-depressants after the next war, suggesting that "marijuana is an effective substitute and can be cultivated in Britain. It may therefore be worthwhile to suggest to your local Chief Constable that the eultivation of marijuana is a desirable activity and in order to maintain proper legal control it should be grown in the back gardens of police stations." (Next time the cops want to know what that illegal plant is doing in your greenhouse perhaps you could tell them that you were only trying to help the war effort.) Like so much to do with capitalism, it would be funny were innocent and defenceless people not the victims of what is an essentially sick joke. But are workers who vote for capitalism so innocent? Well, yes, for in the majority of cases they do so out of ignoranee. Few people would knowingly place themselves and their children and friends at such an awful risk. There will certainly be no referendum before the next world war cornmences. It will occur, as has every war before it, when the business of making profits runs out of control and those with power can see no way forward for themsel ves than to try to re-carve the market in accordance with their own profit hunger. If they fight with nuclear weapons the benefit will be that it will all be over relatively quickly, with those left living probably envying the dead. If the next world war is fought with those "friendly" conventional bombs, which CND always went of its way to exclude from its reform demands, the prospect of ongoing brutalities of the kind witnessed painfully for ten years in Iran and Iraq and for five years in the old Yugoslavia could engulf the whole planet with rival arrnies of bombers, snipers and medal-bearing thugs making the IRA at its most reckless look like a primary school gang. Reformists must answer not only for raising demands which can never be obtained within capitalism, but for dropping any interest in raising conseiousness connected with those demands when a new, more atlractive reform issue becomes more popular. CND had no chance of ever ridding capitalism of nuclear weapons. It has been years since their last major rally or demonstration, yet still the bombs lie waiting to be used. What CND could be credited with, as reformers of various kinds could be over the years, is raising the alarm about a serious problem within society. But whatever credit socialists might have been tempted to give CND for its warnings about war turn into contempt when it becomes clear that CND served merely as a popular reform distraction when governments could not conceal the fact that nuclear war was on the agenda, only to disappear and turn their attention to other futile activities, such as the "greening" of capitalism, once the government propagandists decided that the war alert was off. It is not the honest socialist way to sound the alarm only when workers are hearing it. Our warning stands, regardless of fashion. We make clear with whatever energy we can to whoever will listen: Jf you support capitalism, however tacitly, whatever its form may be, you are supporting a social (dis)order which will not only exploit you, but will kill you and your children if comrnercial needs so dictate. A vote for capitalism, whoever rules it, is to hand over the matches to your class enemies so that they may, should they think it in their interest to do so, set fire to your homes, your lives and your families. Expecting the profit-mongers to act with responsible respect for human life is like electing the Mafia to run the streets and then complaining about violence and corruption. Is it inevitable that we must drift towards more wars? Under capitalism, the answer is unequivocally yes. But it is far from inevitable that capitalism must continue. It has not been here for ever, any more than private property relationships have, and as soon as a majority of the working class ehoose to end it we can remove simultaneously the inherent threat to our future which the profit system poses. Will you comrnit yourself to building the movement to end production for profit and establish production solely for need? Don' t spend too long thinking about it, for it is quite literally a question of life and death. I went a meeting of theirs held in Goldsmiths College yesterday addressed by Peter Joseph, a US film-maker who made the two Zeitgeist films. As the word "Zeitgeist" and "Venus Project" could suggest some New Age Cult I wanted to actually meet some members (as opposed to reading their stuff on the internet) to make a judgement on this. The lecture hall was full with 250 or so men and women mainly in the 30s and 40s who seemed quite reasonable and normal to me, ie this is not a cult. Most of them seemed to be supporters of the ideas put forward by the movement. Peter Joseph, who would also seem to be in his thirties, spoke with the aid of slides for an hour and 20 minutes. He began by explaining how the present money-based and profit-driven system was the cause of most of the problems facing humanity and how it could not be made to serve the interests of humanity. He described the various single-issue organisations such as Greenpeace as growing "like weeds" and as being bogged down in trying to deal with effects while ignoring the root cause. The solution, he said, was a moneyless, "resource-based economy". "All social systems, regardless of political philosophy, religious beliefs, or social customs, ultimately depend upon natural resources, i.e. clean air and water, arable land and the necessary technology and personnel to maintain a high standard of living. To better understand the meaning of a resource-based economy consider this: if all the money in the world were destroyed, as long as topsoil, factories, and other resources were left intact, we could build anything we choose to build and fulfill any human need. It is not money that people need; rather, it is free access to the necessities of life. In a resource-based economy , money would be irrelevant. All that would be required are the resources and the manufacturing and distribution of the products. A Resource-Based Economy is a system in which all goods and services are available without the use of money, credits, barter or any other system of debt or servitude. All resources become the common heritage of all of the inhabitants, not just a select few." This, surely, is the same as what we call "world socialism". "Some people who consider the tenets of a Resource-based Economy think that the system would be difficult due to something called 'Human Nature'. The argument is that humans are inherently competitive, greedy and blindly self-serving, implying that no matter how technically good things are in society, there will always be 'corrupt' people who want to abuse others and seek dominance." Which he dealt with in the same way that we would and did in our pamphlet "Are We Prisoners of Our Genes?". Of course, there are differences. Their economic theory (especially of banking) is mistaken and there are aspects of Technocracy (rule by engineers) no doubt via Jacque Fresco, a designer and engineer now in his 90s and the man behind the Venus Project (named after the town of Venus where he is established, not the planet). Peter Joseph seems to have come from a conspiracy-theory background (evident from the first Zeitgeist film)which he said he has now abandoned and is in fact being denounced by conspiracy theorists as a propagandist for the "New World Order". We [ The Socialist Party of Great Britain/World Socialist Movement ] , on the other hand, come from Marxism and the working class movement, so there are bound to be differences of language. And they haven't yet fully worked out how to get there. In answer to questions on this, Peter Joseph said that the important thing at the moment was to get the idea across; people could decide later exactly what to do (he seemed to favour some sort of non-political mass movement). Even so, I think it could be said that the appearance of this movement can be said to be confirmation of our theory that, even in the absence of an organized socialist group like us, capitalism would still throw up socialist ideas. I say movement because, at the meeting, it was said that there had been 50 million viewings of the Zeitgeist videos on the internet and a figure of 300,000 was mentioned as supporters (presumably those who have registered for its discussion forums, blogs, etc -- in which case they'd be counting me as a member). Still the figure is impressive and even if they were only one-tenth of this it's a significant phenomenon and one that we should watch. For dozens of companies, including giant multinational corporations and tiny internet quacks, the outbreak of swine flu frenzy has turned into a licence to print money. And plenty of it. The disease's explosive global advance has sent everyone from private citizens to national governments on a mass shopping spree to try to buy cures. GlaxoSmithKline, the British drugs company producing most of the country's swine flu vaccine. As it moved to become the pharmaceutical group with the broadest range of products to tackle the pandemic, last week unveiling plans to sell masks and diagnostic kits to test for the disease as well as vaccines and antiviral medicines, industry analysts estimated GSK could make up to £1bn from sales of its swine flu vaccine alone. It already has orders for 195 million doses, which may cost £6 a dose in the UK, from 16 governments around the world. GSK's investors have already seen a return on sales of Relenza, its antiviral drug: second-quarter results showed quarterly sales had increased twentyfold year-on-year to £60m, with first-half sales hitting £230m. Andrew Witty, GSK's chief executive, refused to be forced on to the defensive about the company's windfall, despite accusations he was trying to turn the crisis into cash. "We are trying to strike a balance between society and our shareholders who want to see a return... "
The story is being repeated around the world, with the United States last week coughing up a further $1bn (£600m) to buy more vaccines, and France ordering an extra 28 million vaccines from Sanofi-Aventis. Drug companies are very powerful entities and they use every method they can to sell their products. Remember, to them drugs are a commodity, and a commodity is something that is put on the market to make a profit for the shareholders. Most drug companies admit to making massive profits but seek to explain this away by pointing at the costs of research, which, they claim, is necessary to put new drugs on the market and keep up with the increasing demands of modern medicine. New research is very costly and does seem at first glance a valid justification. A closer look at the marketing habits of drug companies will reveal a very different story. While the money required for completely new formulations is indeed massive, there are not as many completely new research discoveries as they would like us to think. Whilst the cost of producing an entirely new drug can rise to £350 million and can take from ten to fifteen years to bring on to the market, the reality is not quite so clear cut. Many "new" drugs are not new as far as involving new chemicals but are re-formulations of existing drugs. A study in America discovered that, of all the drugs approved during the 1990s, only 15 per cent contained new active ingredients. But for the drug companies launching a new product on the market is a matter of vital importance because that's where they make their money. Prices charged for a new product are substantially higher. The pharmaceuticals industry is way up there as one of the more unpleasant features of capitalist society. To degrade what should be an honourable attempt to alleviate the ills suffered by humankind into a sordid scramble for wealth should be sufficient indictment of the capitalist system. We reported previously on the scapegoating of immigrants to cover the failure of capitalism to provide decent housing for everybody and now yet more reserach has been produced to debunk other myths going about concerning the immigration of Eastern European workers to the UK. The Polish, Czech and other arrivals who moved here when the European Union expanded in 2004 have paid substantially more in taxes than they have received in benefits, the study by academics at University College London (UCL) found. Professor Christian Dustmann yesterday said the wave of immigrants had made a "substantial net contribution to the UK fiscal system .From the fiscal point of view, this immigration has not been at all a burden on the welfare system. Rather, it has contributed to strengthen the fiscal position". In 2008-09 arrivals from the eight poor Eastern European countries that joined the EU in 2004 - paid 37% more in taxes than they took in welfare payments and from public services. Although new arrivals work for much lower wages - on average a third less - and are 60% less likely to claim benefits ,but after a year here their job prospects improve significantly and average wage levels increases.The study, which looked at arrivals between 2004 and 2008, found around 90% of working-age men and three-quarters of women had jobs.During the recession, immigrant workers may fare better in the employment market than native Britons because of their better skills and qualification, Mr Dustmann said. The UK Border Agency said: "There is no denying the benefits migrants can bring to the UK, with European workers making an important contribution to our economy, through paying taxes and filling skills and labour gaps in sectors such as hospitality and agriculture." Since its inception, capitalism has drawn workers into highly concentrated areas of development in order to satisfy its labour needs. Immigrant workers have always been used to correct a disequilibrium in the labour market. All things being equal, a labour shortage causes wages to rise and thus puts workers in a comparatively stronger bargaining position vis à vis overall working conditions. Naturally, our masters will always seek to counteract such a situation by importing (often cheaper, more compliant) workers, which in turn intensifies competition among workers, potentially fermenting xenophobia and racism. Needless to say, when demand for labour and/or skills slackens off, the capitalists play the infamous 'race card' in order to keep the working class divided. All those people seeking migration, whether legal or illegal, are simply obeying the imperative that they must try to find a place to work; and no amount of government restrictions will change that fact. Volunteers keep the net online and functioning, according to leading internet lawyer Jonathan Zittrain of Harvard University.The way data is divided up and sent around the internet in many jumps makes it "delicate and vulnerable" to attacks or mistakes, he said. However, he added, the "random acts of kindness" of these unsung heroes quietly keep the net in working order. "But they had an amazing freedom, which was that they didn't have to make any money from it.The internet has no business plan - never did - no CEO, no single firm responsible for building it. Instead it's folks getting together to do something for fun, rather than because they were told to or because they were expecting to make money from it," he said. "This is a system that relies on kindness and trust"
One example, he said, was an incident in 2008 when Pakistan Telecom accidentally took YouTube offline. At the time, the Pakistan government asked Pakistan's ISPs to block the site, reportedly because of a "blasphemous" video clip. However, a network error caused a worldwide blackout of the site.Within two minutes, YouTube was completely blocked. However,the problem was fixed within about two hours. This was down to a largely unknown group known as the North American Network Operators Group . NANOG is a forum for distributing technical information among computer and network engineers. "They came together to help find a problem and fix it . It's kind of like when your house catches on fire," he said. "The bad news is there is no fire brigade. The good news is that random people appear from nowhere, put out the fire and leave without expecting payment or praise." Humans are not "naturally lazy". Quite the opposite. We need to exercise our physical and mental energies but, quite naturally, want to do this in a creative, pleasurable or at least meaningful way. What people object to is work that is boring, over-tiring or meaningless, but this is the only kind that capitalism has to offer most people in return for selling their mental and physical energies to an employer for a wage or salary. It is such work for an employer that people seek to avoid and which gives rise to the "humans are naturally lazy" argument. Yet even under capitalism, if people think work is creative or useful they will undertake it, even without requiring payment as witness the time and energy that many people put into voluntary work and into their hobbies and pastimes. 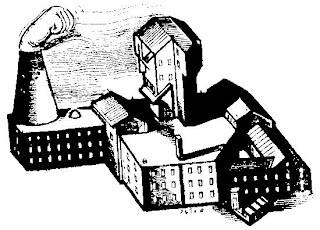 In a socialist society, freed from exploitation and working for wages, work will of course still have to be performed to produce the goods and services to which people will have free access, but this will be a question of organisation, of fitting together the work that needs to be done and the people willing to do it in the quite different working conditions that will then prevail. The coming of socialism will not require great changes in the way we behave, essentially only the accentuation of some of the behaviours which people already exhibit today (friendliness, helpfulness, cooperation) at the expense of others which capitalism encourages. Capitalism has an all-pervading culture of violence, competitiveness and acquisitiveness, and people are under pressure to adapt their behaviour to this. In socialism this culture will disappear and people’s behaviour will no longer be shaped by it. The Socialist call for the “Abolition of the wages system” is usually met with derision. People, we are told, will only expend their physical and mental energies in exchange for a wage or a salary. Voluntary co-operative labour is a pipe-dream. A few moments reflection will show this money crippled view of human beings to be wrong. We know of very many examples of our fellow human beings doing unpaid work – that is working for no monetary return. Writing in The Guardian last year Michael White referred to Britain's generally thriving voluntary sector – one in three of us volunteer … and create £27.5bn worth of value to the economy. In November 2003 the TUC reported that workers in the UK did £23 billion pounds of unpaid overtime. The average amount done each week by the more than 5 million workers performing unpaid overtime was 7 hours 24 minutes, worth £4,500 in extra annual salary. All the figures were taken from official statistics, and exclude employees who do less than one hour of unpaid overtime a week. Last year the figure had increased to £26.9 billion. The value of volunteers in UK sport in 1996 was reported to be £1.5 billion by Chris Gratton and Peter Taylor in Economics of Sport and Recreation. The value of that [unpaid] work ranges from 15 percent of gross domestic product in the case of Japan to 54 percent in Australia. Marga Bruyn-Hundt in The Economics of Unpaid Work (1996) estimates the monetary value of unpaid labour in Netherlands ranges from six percent to 55 percent of GNP. Unpaid household and voluntary work takes over one and a half times more hours than paid work. Depending on the method used the value of unpaid labour in Switzerland was at least 127,116 Mill. Fr. in 1997 equal to 34% GDP. Even using conservative estimates, the magnitude of this [unpaid] labour is staggering. Kathleen Cloud and Nancy Garrett, specialists in global economic development, estimated the value of unpaid labour in 1990 for 132 different countries. They found that unpaid household labour contributed $8 trillion, or just over one-third of the total official GNP for these countries. Who says that without wages people would not work? The best-off 1 per cent of the population owned 21 per cent of the national wealth in 2003; the proportion in 1996 was 20 per cent. If housing is excluded, the proportion of Britain's wealth concentrated in the hands if the richest 1 per cent of citizens has jumped from 26 per cent to 34 per cent over the period. Only seven per cent of youngsters are privately educated. But 75 per cent of judges, 70 per cent of finance directors, 55 per cent of solicitors, more than 50 per cent of top journalists and 45 per cent of senior civil servants are public-school products. Well-paid professional jobs continue to be passed down between the generations: doctors, lawyers, accountants and bankers typically grow up in families with incomes two-thirds higher than average. The typical professional of the future will come from the wealthiest 30 per cent of homes. In other words, the professional elite will become even more elitist. "Access to the professions is becoming the preserve of those from a smaller and smaller part of the social spectrum.Access to university is extremely inequitable and the correlation between the chances of going to university and parental income has strengthened in recent years. Far too many young people who have the ability to go university are unable to do so because of their background."" Some evidence may suggest, superficially, that we live in a society of greater equality. For example, we can accept that not so long ago “posh toffs” were people who played golf and went on motoring holidays, touring the Continent. Now, many people from all walks of life do these things. This shows that these pursuits have become relatively cheaper and that some working people are now able to enjoy them, but this in no way alters the economic relationships of production. It does not alter the economic, class relationship between capital and labour which dominates the way we live. At the point of production, the workers and their employers who may be sharing a golf course in their leisure time remain in a relationship of conflicting economic interests which, whilst it continues, must always condemn our society to the class divisions of strife and to the many ugly comparisons that we see of poverty amidst luxury. Class is a social relationship that invades and has a corrupting influence on every part of our lives. Our lives and the quality of our society depend upon our relationships of production and on the services we can provide. An analysis using economic/class categories tells us who gets what from the pool of wealth that is made available and how a privileged class has accumulated great wealth and property; it therefore explains the great social differences that we see about us.The traditional division between ‘working class’ and ‘middle class’ implies that there is a conflict between these two groups, with the middle class being better paid, educated and housed, often at the expense of the working class.Emphasising divisions among workers suggests that they have different interests and statuses rather than stressing what they all have in common. It suggests that removing inequality is about people climbing upwards the social ladder and so doing better than their parents, rather than overturning the whole system. We note, however, that members of the so-called middle class are as dependent on what their employer pays them as the so-called working class are. It may be called a salary and come in the form of a monthly cheque rather than a weekly wage packet, but its recipients still need it in order to live. From this point of view, in fact, the overwhelming majority of the population are in the same boat: employed, paid a wage, needing to work for a living, at risk of losing their job, pushed around at work, working longer hours and doing less interesting work than they would wish. They shop in the same malls and supermarkets, use the same schools, hospitals and transport systems, are subject to the same laws and government regulations. Above all, they are seen by their employers as a means of creating profit rather than as human beings with feelings and family responsibilities. As far as socialists are concerned, anyone in this situation is a member of the working class, irrespective of their educational background or the accent they speak with. Over decades, millions of workers the world over have invested their hopes in so-called ‘practical’, ‘possibilist’ organisations like the Labour Party and well meaning individuals such as Milburn yet they turned out to be the real ‘impossibilists’ – demanding an unattainable humanised capitalism – is one of the greatest tragedies of the last century, made all the greater because it was so utterly predictable. DEBATE : Should Capitalism Have a Future ? Magnus Nielson of UKIP will be debating the Party on "Should Capitalism Have a Future?" The Party will be represented by Gwynn Thomas. at Head Office 52 Clapham High St this Saturday , 25TH at 7.00 pm. What is Real Democracy ? How Do We Get It ? In the modern world, a very large proportion of people accept that "democracy" is a desirable thing. We are told that we live in a democratic society, at least in the West and in most of the industrially developed countries. However, many of us have a feeling of powerlessness and lack of control over influencing the way in which society operates. A significant number of people admit they do not understand WHY they are in actual fact, "powerless" and without control. Others believe that they know why: "greedy bankers", "fat cats", "governments which don't listen to them", etc., etc. The important thing is to find a proper explanation of why conditions really are the way they are, and what we can do about it. achieved with the establishment of World Socialism. As we are well aware, most people believe that "socialism" is something to do with what happened in Russia and the Eastern bloc countries, and / or they think that it is monolithic nationalisation, which as we also know, is in reality state capitalism. capitalism. Huge numbers of people distrust mainstream politics and its parties. They are very right to! Democratic ownership by the whole community of the means of producing and distributing the wealth which we need to live, is the key to what real democracy is all about. Genuine socialism and real democracy are inseparable. The "How Do We Get It?" part will be, as socialists know, by means of a revolution of majority understanding, to be explained thoroughly at the meeting. Street, London, SW4 (nearest tube: Clapham North). Start time: 6.00pm. Focus on conflict; spiralling to encompass more and more areas of the world; bringing “terror” into all cities east, west, north, south; wreaking chaos on whole countries; creating friction between different sections of the population – between people who previously had no reason to be suspicious or fearful of the other. This is what those in power around the world would subject us to and in this they are having no small success. Now focus on how it could be if the majority of the world's people were to have their say, and imagine a world without conflict following a transformation in thinking. A transformation in thinking that comes about through the realisation and understanding by individuals who alone or in small numbers have little influence over what they can achieve against the powers of a state but when working together for common aims can bring the power to the people where it belongs. Not military power. Not economic power. Decision-making power. States, i.e. governments, (or even small sections of government) have the prerogative of violence. All means are in their control and they allow themselves the sole right to use violence, to use police and armed forces against whomever they label as enemies, as a threat to the state or as a threat to national security. The citizenry can't be a party to the details. In fact even discussing making them a party to the details in itself will be heralded as risking national security further and giving them the excuse to restrict us even more. But, imagine gradually more and more people, seeking an egalitarian and peaceful society, protesting at their government's armed interventions in other countries, as for example today in Afghanistan and Iraq. And more and more daring to protest at the level of violence at home perpetrated by the authorities towards citizens on the streets. More letters written to more newspapers and to representatives of the people at all levels; more emails flashing around the globe to encourage others to get involved; more websites and blogs to which people can add their name to show dissidence; more meetings and demonstrations displaying withdrawal of support by the masses for their so-called leaders. Bertrand Russell told CND many years ago, “If all those who disapprove of government policy were to join massive demonstrations of civil disobedience they could render government folly impossible.” It's not impossible to believe that numbers could become such that members of the forces of repression and armed aggression decide that they will no longer act against fellow citizens or against citizens of another nation. Significant numbers have already spoken out against such aggression, more of them beginning to feel the pressure of society, a society of which they are a part, (not apart from!) a society made up of their friends, family members, school mates, neighbours, a society whose interests they are supposedly engaged in defending. In the case of civil disturbances, strikes and demonstrations they will now join ranks with their own masses preventing repression at home and opposing interference in the destinies of other societies which conversely have no argument with them. Imagine the power falling away from those who have used it recklessly around the world and into the hands of this majority seeking an egalitarian and peaceful society. Imagine the armed forces, now under the democratic control of the people, committed to securing all weapons, armaments, vehicles, planes, helicopters, ships, submarines, war materiel of all kinds including factories and depots; securing them from any further use whilst and until they can be dismantled, recycled or made safe. Are people to stand by passively observing societies descend into the dystopian dissolution that many see as inevitable or shall they stand up together against aggression in all its manifestations in a process of struggle and achievement? Imagine this amazing specimen of revolution, this fantastic human organism, coming together at last to realise its full potential – for what the preamble to the UN Declaration of Human Rights refers to as dignity and worth, freedom, justice and peace. It couldn't have gone unnoticed the news coverage of Obama's visit to Ghana and Africa but underneath the PR gloss of the memories of slavery roots , a much more mercenary purpose existed. At Nigeria's Defence Intelligence School in Karu, near the capital Abuja, 30 military officers from seven African countries graduated from a training course designed to meet the "rapidly changing security complexities" of their nations "and the continent at large".Ostensibly organised by Nigeria's Defence Intelligence Agency, the 12-week "Military Intelligence Basic Officers' Course for Africa" - the third this year after two in Mali - was in fact designed by the controversial United States African Command (AfriCom). To exploit and secure the region's oil, the US has to take into account the threat to its interests from terrorist and liberation groups. AfriCom is designed to protect vital US interests, but while its public profile is low its footprint on the ground is increasingly large - hence the military intelligence courses in Nigeria and Mali, and also AfriCom preparations with Mali, Algeria and Niger for a major joint military and police operation along their common borders.While AfriCom's main role is military oversight, it is slightly different from other US commands because it acknowledges Africa's complexities and mysteries by including health and aid experts in its mission. Steven Morrison, director of the Africa programme at the Washington think-tank the Centre for Strategic and International Studies, said the new command is designed to shift US involvement in Africa from a reactive to a proactive commitment. AfriCom - currently headquartered in Stuttgart, Germany, but aiming to transfer to Ghana - is a measure of how seriously Washington is taking the new scramble for Africa and how determined it is to compete there with China, which has major strategic and economic goals throughout the continent, and how seriously it intends securing its burgeoning oil and gas interests in West Africa. President Barack Obama's visit to Ghana this month signalled that America's approach to Africa was emerging from a long, deep sleep and that the US was back in the African version of the Great Game. In recent years, the strongest winds blowing over the continent have come from China. 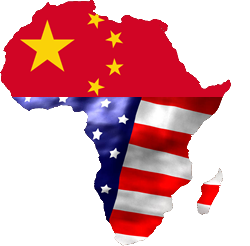 With the US and European Union preoccupied elsewhere, China has had the African playing field virtually to itself and has won new markets in country after country. Beijing brought welcome foreign investment on a scale not seen since the end two decades ago of superpower competition between the US and the former Soviet Union. For example, in Angola, which is stunningly rich in natural resources and was fought over by Moscow and Washington's surrogate guerrilla armies in a 27-year civil war that ended only in 2002, China is partnering the country's rapid development with its multi-billion dollar investments in Angola's infrastructure. Two Chinese oil companies last week bought a $1.3 billion stake in the rich Block 32 development 90 miles off the Angolan coast - already China imports more oil from Angola than it does from Saudi Arabia. At the same time, Beijing announced it will invest $1.2bn in the development of Angolan agriculture over the next four years. It is the latest phase in the commitment by China of billions of dollars in aid and cheap loans to Angola, which has resulted in Chinese companies building roads, bridges, schools, hospitals and telecoms infrastructure, as well as rebuilding the 835-mile trans-African Benguela Railway, built 107 years ago by Aberdeen engineer Sir Robert Williams but destroyed in the post-independence civil war. And in Gabon, China rejuvenated the entire national railway grid as the price for developing the huge Belinga iron ore deposits deep in the country's dense tropical forest. "Beijing's motives are clear," said Professor William Lyakurwa, executive director of the Nairobi-based African Economic Research Consortium. "China is home to more than 20% of the global population. Its growing industries demand new energy; its exporters want markets; its diplomats require support in international organisations.Its propaganda still seeks support from allies to advance Chinese interests and, when necessary, to counter the United States. It views Africa as a centre for military-to-military co-operation and a market for China's growing arms industry." Obama has made it clear that if the US wants to out-muscle China it will need to commit more to projects like the 421-mile-long West African Gas Pipeline, which is scheduled to begin delivering gas early next year from Nigeria's Niger River Delta to Benin, Togo and Ghana. The pipeline is 40% financed by America's Chevron Oil and is the first regional natural gas transmission system in sub-Sahara Africa. Within days of Obama returning to Washington from Ghana, the Washington-based International Monetary Fund approved a $603m loan to help the West African nation tackle budget imbalances while preparing to start production from recently discovered rich offshore oil fields - the loan is by far the biggest IMF financing package for an African country since the onset of the current global financial crisis. Ghana will start pumping crude oil next year and expects to begin producing about 500,000 barrels of oil per day by 2014, about a quarter of the production rate in nearby Nigeria. It is oil fields like Ghana's Jubilee find - 40% owned by London-based Tullow Oil - that AfriCom has the task of protecting; by diplomatic and aid means if possible and by force if necessary. Already West African nations supply as much oil to the US as Saudi Arabia and the US National Intelligence Council estimates that by 2015 some 25% of US oil imports will come from West Africa. The region's crude oil is overwhelmingly "light" and "sweet", the grade preferred by big refiners and the distance tankers have to sail is less than half that from the Middle East. Also, 83% of West Africa's oil resources come from big, more easily managed fields. The original scramble for Africa took place in the late 19th century, when Britain, France, Germany and Portugal competed to carve Africa into colonies. Today, governments and corporations from the US, France, Britain and China are competing to profit from the rulers of often chaotic and corrupt regimes. British households chuck away 2.6bn slices of bread each year. Tristram Stuart, the author of a new book, Waste: Uncovering the Global Food Scandal estimates it would be possible to alleviate the hunger of 30 million people. If rich countries are wasting lots of the grain they buy, it stands to reason that they are buying more of it than they would otherwise need to. That unnecessarily high demand reduces the overall supply, which pushes the price up, making grain less affordable for poor and undernourished people in other parts of the world. The BBC reported more than a million unopened pots of yogurt and yogurt drinks are thrown away in the UK every day - that's 484 million a year, according to recent research , that is about 9.4% of yogurt pots bought which are thrown away unopened . There is no consideration of unused pots thrown away by shops, restaurants and cafes , so the actual figure for wasted yogurt is probably much higher. Also found was that 4.4 million whole apples and 1.2 million sausages are thrown away each day. Overall, a 2007 government survey found that we throw away some 6.7m tonnes of food a year – a third of the food we buy. A study by Imperial College for the Department for Environment, Food and Rural Affairs, found that supermarkets preferred to throw away food that was approaching its sell-by date rather than mark it down in price. "The cost of staff time is greater than the money made on the reduced items," the research found, citing a supermarket executive who said it cost the chain £11 million a year in labour and lost margins to slash prices. The Independent on Sunday reported that Britain is throwing away half of all the food produced on farms. About 20 million tons of food is thrown out each year: equivalent to half of the food import needs for the whole of Africa. Some 16 million tons of this is wasted in homes, shops, restaurants, hotels and food manufacturing. Much of the rest is thought to be destroyed between the farm field and the shop shelf. "Unfortunately, we live in a world where many people do not have access to food in general, and good-quality food specifically, while at the same time millions of tons of perfectly fine food are being disposed of. In the UK alone, the extent of food poverty is staggering, as millions of people with low or no income find it harder to access affordable, nutritious food." "Waste is a fundamental part of the food economy and it will be hard to get rid of. I do not see how simply appealing to morals will do it." It is the economics of capitalism that places the need for profit before the needs of people and the planet . Earlier this year, there was a rash of "boss-nappings" by French workers: the seizure overnight, or for a couple of days, of executives in an attempt to improve redundancy terms. The incidents became so common that they ceased to command media attention. Kidnapping bosses is no longer in vogue in France. The new publicity-seeking trend among redundancy-threatened workers is to threaten to blow up their own factory. Almost 500 employees of the insolvent Canadian-owned telecommunications company Nortel warned this week that they would detonate 12 large gas cylinders at their plant in Châteaufort, west of Paris, unless they each received €100,000 in redundancy pay. 366 employees of New Fabris, a bankrupt car parts plant at Chatellerault in central France, threatened to detonate gas cylinders in their factory unless they each received €30,000 in redundancy pay by the end of the month. "We have got the media coverage we wanted. The gas cylinders were a symbolic act to show that we had been pushed to the limit," said Christian Berenbach, the local representative of the moderate trades union federation the CFTC. "We are not terrorists or bandits, just the victim of a... financial scandal." "I can have no respect for capitalist property laws, nor the least scruple about breaking them. I hold all such laws to have been enacted through chicanery, fraud and corruption, with the sole end in view, of dispossessing, robbing and enslaving the working class. But this does not imply that I propose making an individual lawbreaker of myself and butting my head against the stone wall of existing property laws. I am law-abiding under protest – not from scruple – and bide my time." Young Scots from deprived backgrounds are six times more likely to die from heart disease than affluent people in the same age group, research suggests. These inequalities are persisting in spite of the widespread and constant health promotion and health prevention initiatives, which suggests substantial and continuing barriers to healthy changes .The authors said the differences were linked to unhealthy social environments, smoking and poor diet and maintain that these factors were more common in individuals from deprived backgrounds and that this study revealed major social inequalities in Scotland. Professor Alastair Leyland, from the Medical Research Council in Glasgow, argues that as health promotion programmes had seen limited success, perhaps it was time "to tackle the social inequalities themselves - unequal distribution of power, money, resources and life chances." SOYMB says it is time for Socialism ! Twenty-four years ago today Bob Geldof asked "..why do people starve on one side of the world while on the other people are paid not to produce food, or "surpluses" are allowed to rot?" He said that no-one had yet answered that question for him satisfactorily. And he still does not have a clue. The contemporary article below, taken from the September 1985 Socialist Standard, explains why such suffering is endemic to capitalism. On the surface the answer to "what causes famine?" may seem obvious. Shortage of food causes famine, and the present food shortage in Africa is the resuIt of drought. But is this really true? Why, when the world can be tumed into a "global village" for the purposes of transmitting pop music, can it not be tumed into a "global vtllage" for the purposes of distributing food? "it is rarely the urban poor who suffer famine (because of access to wage labour) which is usually confined to rural populations which in many under-developed countries have little direct relationship with centres of political power, and therefore little influence." (Frances D'Souza and Jeremy Shoham, 'The spread of famine in Africa", Third World Quarterly, July, 1985). And besides the environmental causes of famine there are also political causes such as warfare. The immediate effect of food scarcity is rapidly rising prices and the movement of men to urban areas in search of paid work that will enable them to buy food for their families. At the same time farmers begin to seil their live-stock like goats and sheep in order to raise money. This leads to a fall in meat prices and hence in the purchasing power of the farmers, who are then forced to seil more valuable assets like plough oxen. When all these options have been exhausted, whole households and villages are forced to move to towns or relief centres in search of food aid. The situation in much of Africa is clearly now in this terminal phase. And yet as long ago as December 1982 the Food and Agricultural Organisation said that Ethiopia would need 400,000 tonnes of food aid in 1983; no action was taken and the country needed 1.5 million tonnes by 1985. So why did the world not respond earlier? One answer is politics. The famine-stricken countries themselves may also, for domestic political reasons, not wish to acknowledge the existence of the problem. In Sudan for example, as late as mid-1984 the government claimed that there was no famine in the country for fear of the political consequences of adrnitting that people were starving. But even when the existence of the problem is admitted and a decision is taken to do something about it, politics intrudes. The aid "industry" has vested interests: people who rely on the aid agencies for their jobs may be unwilling to co-operate fully with representatives from other organisations, which leads to pointless duplication of effort. For example, in 1983 Upper Volta (now Burkina Faso) received over 300 fact-finding missions from aid donors. They got so fed up with escorting people round the country that they are now refusing all international aid. Most aid comes from national aid programmes rather than international relief agencies, and much of it is "tied". This means that the recipient government gets money provided it spends it on goods produced in the donor country. Clearly if the motive is to increase exports the interests of the starving in Africa are likely to come a very poor second to those of the rich in the donor country. Another form of aid is "prograrnme aid" whereby food is given to governments to be sold on the market, About a third of all America's 3.1 million tonnes of food aid and 60 per cent of that given by the EEC takes this form. 1n theory it enables recipient governments to buy seed and agricultural implements from the proceeds of food sales, in practice the proceeds are just as like1y to be spent on maintaining the armed forces. Within the recipient country politics frequentIy affects the distribution of food aid. In Ethiopia the government has tried to prevent food from being distributed in the provinces of Tigre and Eritrea in an attempt to literally starve the rebels in those areas into submission and to force them to leave the region for feeding centres in other areas. So in entering the aid business Bob Geldof should tread warily: it is a minefield of national and corporate interests, political manipulation and profit-seeking which is Iikely to destroy the good intentions of the politically naive. For the sad truth is that despite the razzamatazz that surrounded the Live Aid concert the amount raised, though enormous by the standards of most charitable appeaIs, was a pittance when compared with the scale of the suffering. Workers who gave money to the Live Aid appeal cannot afford to give enough to make a significant impact on the farnine, since most of us rely only on a wage, salary or state benefits to provide for ourselves and our children. We do not own the wealth of the world; it is not ours to give. Aid is in any case a contentious issue: some have argued that it has damaging effects for the recipients since it has the long term effect of weakening the capacity of communities to survive independently. Certainly it has been used for political and economic ends by the international capitalist class to create spheres of influence in the "Third World" and to maintain client states. But a more important limitation of aid is the effect it has on the donors. Whether it is individuals giving to charities like Live Aid or governments making pious statements about the amount of aid they have provided, a dangerous illusion is created. The illusion, firstly, that something is being done to solve the problem of famine and, secondly, that something can be done, that we really can "feed the world" through charity and the efforts of a few dynarnic and well intentioned individuals like Bob Geldof. Both have politically disastrous consequences. Famine is not a temporary upset in an otherwise harmonious world order which can be put right by a quick injection of money and sacks of grain: it is an endemic feature of a world system of society which dictates that those who have money to buy food can eat, and those who have no money must starve; that unsold food produced in one part of the world will not, in general, be transported to where it is needed because no profit would be made. For in our society food is not produced because people need it, but because those who own the farms and the land can make a profit from it. And if it cannot be sold profitably then it is left to rot. So while it mav be cornforting to believe that Live Aid has significantlv helped those suffering in Africa from the insanity of capitalism, it is dangerous because it ignores the real causes of world hunger. To perpetuate the myth that charity can solve the problem obscures the urgent need for political action to get rid of capitalism. We can eradicate farnine: we have the technology, knowledge and productive capadty to produce enough food for everyone and to transport it to wherever in the world it might be needed. There is no need for people to starve but they will continue to do so as long as we produce goods for profit. To remove capitalism requires a much bigger commnitment on the part of the working class than it takes to give a fiver to the Live Aid appeal. But whereas giving money to charity might give you a feeling of having "done sornething" to help the hungry (which lasts until the next awful pictures of unnecessary suffering are flashed onto your TV screen), working for socialisrn will bring the reward of knowing that you are helping to create a truly humanitarian society in which no-one, wherever they live, will die of hunger. And then we can all listen to pop music without feeling guilty. The aim of this talk is to explore the effects of a particlular form of technology on the state of society. It will examine the concepts of robotics and artificial intelligence; the concept of the technological singularity; what such an event would mean for the labour market; and, because of the central role of the labour market to capitalism, what this would mean for capitalist society as a whole. It will also take in the contradictions in capitalisms need for labour; and how, ultimately, socialism is essentially the emancipation of labour. Near future science fiction frequently explores the possibilities of imminent technologies. Gadgets that haven’t been designed yet, but could be given recent real advances in technology and design. Whilst its track record on such predictions as us getting to Mars by 1977 and everyone having rocket cars by 2002 are a bit wide of the mark, others have been much closer – and in fact actively conservative compared to the real historical record. Authors such as Charles Stross in his Halting State or Ken Macleod in his Night Sessions explore a future where mobile phone technology linked up to glasses which display information to the wearer can link up with technology like google Earth and GPS systems to tell them, just by looking, who lives in a house and what criminal records they have and other known details. They explore the expanding pace of technology, as the machine intelligence of computers begins to exceed that of the living human beings. Iain M. Banks in his Culture novels explores the after effects of that process, where humans served by loyal robots live in a post scarcity anarcho communist space faring society. We need to pause here to discuss some terms. Much of this will be familiar. The difference, for one, between a machine and a tool. A tool enables a human to do a job, while a machine effectively replaces human labour. A robot is a sort of machine. The word itself is Czech, coming from a play about automatons, and it means worker, but with connotations of slavery. The international standards organisation defines a robot as: “an automatically controlled, reprogrammable, multipurpose, manipulator programmable in three or more axes, which may be either fixed in place or mobile for use in industrial automation applications." Which more or less means the same thing. Robots do not have to be physical, and many expert systems can be described as a robot of sorts. When your word-processor corrects your spelling, that is a type of robot. A singularity represents an "event horizon" in the predictability of human technological development past which present models of the future cease to give reliable or accurate answers, following the creation of strong artificial intelligence or the amplification of human intelligence. Futurists predict that after the Singularity, humans as they exist presently will cease to be the dominating force in scientific and technological progress, replaced with posthumans, strong AI, or both, and therefore all models of change based on past trends in human behavior will be obsolete. The technological singularity refers to a situation in which technological advancement begins to accelerate to the point where new designs are produced, basically, before old ones are implemented: where super intelligence exists. More prosaicly, when the robots begin to be able to do our thinking for us. Proponents of such an eventuality point to growth of computer processing power and the growth of communications and transport technology. The mark how the time taken for products to reach ubiquity and obsolesence is falling – it took 70 years for telephones to become ubiquitous, the iPod has managed it in about 8. For example. We’ve even reported such trends ourselves, in the Socialist Standard. We told how 3D printers have been developed that can make models and parts out of sillicon and plastic – and how that will lead to faster development of prototypes. Those 3D printers can also produce 60% of their own parts. If they get to 100% we’d have multipurpose machines that could reproduce themselves, and maybe even adapt for diffferent tasks. The relative advantages of humans and machines vary from one task to the next. Imagine a chart resembling a topographic cross section, with the tasks that are ”most human” forming a human advantage curve on the higher ground. Here you find chores best done by humans, like gourmet cooking or elite hairdressing. Then there is a ”shore” consisting of tasks that humans and machines are equally able to perform and, beyond them an ”ocean” of tasks best done by machines. When machines get cheaper or smarter or both, the water level rises, as it were, and the shore moves inland. Depending on how these contours actually lie, this could mean mass displacement for millions of workers: redundancy on a grand scale. From shop staff to clerks, essentially human posts could be done away with by “simple” intelligences or machine expertese. Throughout history, the labour market has had winners and losers, swings as well as roundabouts. New workers have always been recruited to replace those throw on the scrapheap; but in this scenario, new workers can be designed, trained up and introduced faster through machinery that it would take to breed and train a new generation of humans. The suggestion throughout discussion of a technological singularity is that productivity would soar. In essence, it would herald an abundance economy. For some radical “trans humanists” this would mean the end of capitalism. The battle of competition is fought by cheapening of commodities. The cheapness of commodities demands, caeteris paribus, on the productiveness of labour, and this again on the scale of production. Therefore, the larger capitals beat the smaller. It will further be remembered that, with the development of the capitalist mode of production, there is an increase in the minimum amount of individual capital necessary to carry on a business under its normal conditions. The smaller capitals, therefore, crowd into spheres of production which Modern Industry has only sporadically or incompletely got hold of. Here competition rages in direct proportion to the number, and in inverse proportion to the magnitudes, of the antagonistic capitals. It always ends in the ruin of many small capitalists, whose capitals partly pass into the hands of their conquerors, partly vanish. …the growing extent of the means of production, as compared with the labour-power incorporated with them, is an expression of the growing productiveness of labour. The increase of the latter appears, therefore, in the diminution of the mass of labour in proportion to the mass of means of production moved by it, or in the diminution of the subjective factor of the labour-process as compared with the objective factor. While 90% of what socialists discuss, from inequality to exploitation and unemployment, can be defended without needing recourse to the labour theory of value, (and some writers have suggested Marx should be dealt with in this way) not doing so robs our theories of their explicitly political dimension. As can be seen from the preceeding, the capitalist mode of production is as much about drawing in the command of labouring humans as it is about making profits – it is a source of social control. Capitalism is in a bind – it wants to use as much labour as it can as little as possible. That is, while it on the one hand sets its production goals as limitless, an infinity of riches and products, it wants to spare the precious labour that gives it an edge in the competetive battle. This is what the shackles of capital mean to labour, that goals and activities that are within the practical bounds of human endeavour are left unsurmounted because it is not capitalistically efficient to do so. Capitalism prefers the increasing refinement of the productive process to the actual attainment of any specific outcomes or goods. This brings us to an important factor. As EP Thompson noted in his The Making of the English Working Class – the working class made themselves. Workers, and their demands for waged labour as compared with the previous forms of bonded labour, were, if you’ll forgive, in the vanguard of promoting market relations. Professor Robert Allen of Nuffield College, Oxford, an economic historian, goes so far as to suggest that a significant contributing factor to the Industrial Revolution occuring in Britain was the relatively high (at that time and in the world) Real wages of the workers here. Particularly, they were high relative to fuel costs and capital costs. The importance of this is that it incentivised innovation and mechanisation. Similar features have been attributed to American industrialisation. The high costs of labour, and capitalism’s drive to spare labour if at all possible is a key motor of capital accumulation. This, then, presents us with a bind. Capitalism spares labour, cuts labour and labour costs, while it grows. Further, as we’ve seen above, whilst it accumulates, it cheapens the products of industry. This presents us with a situation in which fewer people are employed, and in which the cost of employing people actually falls. The mass of use values they can command may well increase, but the value of their pay declines. We can see this in the recent history of the United States “Since 1975, practically all the gains in household income have gone to the top 20% of households” – that’s from the CIA world factbook. This raises the prospect, as the tides of technology rise and surplus population increases and real wages fall, of a natural limit to technological growth – the point at which the labour market ceases incentivise intensive exploitation of capital, and it becomes cheaper to simply exploit labour extensively. The Socialist Party has never emphasised a theory of “decadence” like some Marxist groups, but these conditions would be as close to a decadence situation as you could find. Hanson sees a situation in which we would all have to become capitalists, because labour would not longer pay, but if what I have suggested above comes to pass, then we simply wouldn’t have that option, and a form of labour feudalism could emerge. In response to a questionaire, when Marx was asked what were his goals, he simply replied “The emancipation of labour.” This brings us to the crux of the matter - technology emancipates us from labour, but so long as a vast swathe of humanity depends on the sale of its ability to work labour will be in the chains of capital. Socialism, the emancipation of labour, would see a situation in which rather than try at all costs to spare labour, we will freely chuck it at problems because we would be working towards definite ends, rather than an ever increasing size of profit. It would be nice to think that technological progress would simply evolve capitalism away. If we believed that, we could shut up shop and simply become cheer-leaders for advancing bleeding edge technology. The dangers of the alternative, a kind of stagnant capitalism based on cheap super abundant labour unable to fight back, is quite terrifying. We've seen how capitalism does have a drive to advance technology, but one that may be undercut by its dependence on wages labour. Waged labour has not been the passive tool of capital, but an active and essential participant in driving capitalism onwards. I'd suggest that we as workers cannot sit by and hope that a magic bullet will solve our social problems, and our active organisation remains essential to attaining socialism. Thus, I'd like to finally touch on an old debate we once had at conference - the question was whether socialism was possible in 1904. The arguments tonight may make it sound like it was not so, that we're still waiting for the robotic productive forces that will make it possible; I would argue, though, that productive forces encompases more than technological capacity, and includes the organisational and mental capacities required for a given form of society. The friction between capital and labour was a source of technological innovation, that friction was a productive force. As I said just before, socialism will free up labour, irrespective of technological capacity, to use whatever technological powers are available. Socialism is not a byproduct of technology but of social consciousness.